What Is Fee For Service In Healthcare? Fee for service (FFS) is the most traditional payment model of healthcare. In this model, the healthcare providers and physicians are reimbursed on the basis of the number of services they provide or procedures they conduct. Payments in an FFS model are not bundled. 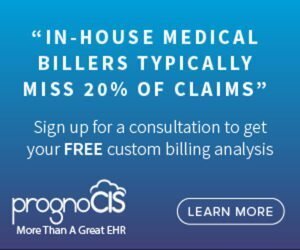 This means that the insurance companies or the government agencies are billed for every test, procedure, and treatment rendered whenever a patient visits the doctor, has a consultation, or is hospitalized. This payment model rewards physicians for the volume and quantity of services provided, regardless of the outcome. What Is Fee For Service Health Plan? Prior to the value-based care initiative, the fee for service health plan was the customary type of health care insurance. Also identified as indemnity plans, the FFS coverage is most pricey; however a fee for service health plan provides complete independence and flexibility to those who can afford it. FFS allows the clients to freely choose their physicians and hospitals, with very little interference from the insurance provider. A fee for service health plan demands high out-of-pocket expenses as clients may be required to pay their medical fees up front and submit bills for reimbursement. What Is Medicare Fee For Service? Medicare Fee for Service is a program, which offers a two-part insurance. This includes a hospital insurance along with a supplementary medical insurance for the eligible citizens. Generally, the hospital insurance offers a coverage for hospitalization, admission to hospice or a nursing facility, tests, surgical procedures and provision of health care at home. The supplementary part of Medicare fee for service program provides coverage for services offered by healthcare providers, including physicians, outpatient care, medical equipment, and certain preventive care. Has Fee For Service Been Phased Out? In the past years, a number of healthcare policy reports called for a phase-out of FFS plan. The reports considered FFS as one of the causes of uneven care, excessive services, and healthcare inflation. The healthcare providers are facing challenges in medical billing as the system gradually moves from a traditional model of FFS to a whole new model of value-based care. The FFS measure reimburses according to the number of services and treatment of diseases and injuries as they occur. On the other hand, value-based care reimburses for the value of services and preemptive health management, which calls for inhibition of diseases and injuries and identifying conditions at early stages to reduce the cost of treatment. Sooner or later the health care system would go for a reimbursement model where monetary benefits are persistently aligned with the delivery of coordinated and quality care at the best price. The overall revenue of fee for service reimbursements in 2016 dropped to 43% as compared to 62% during 2015. Fee for service based medical billing arrangements with a hybrid of value-based care rise to 28% from 15% and pure value-based care model accounted for 29% as per the statistics issued by the Health Care Payment Learning and Action Network of the Centers for Medicare & Medicaid Services. This represents that federal determination towards unconventional medical billing has started to show its impact. However, it is the fear of the unknown, which has been holding a number of medical practitioners to join Clinically Integrated Networks (CIN) or Accountable Care Organizations (ACO). Despite its persistent failures, FFS is still preferred because it is familiar. A large number of experts have argued that the development in modern medicine, complications of current healthcare structure, and the healthcare requirements of a population with chronic illnesses have outdated the capability of fee for service in healthcare. Both industry experts and lawmakers believe that the medicinal evolutions have compromised the FFS model. The third-party payers have supported overutilization of FFS, and FFS has stimulated least financial responsibility on the part of both patients and providers. Patients receive highly valued service and the provider is able to offer suitable recommendations. Physicians can charge a reasonable amount for a plan and can be agile to offer precise assistance to their patients. Fee for service provides very little or no reward for delivering holistic and value-based care. Restricted to personal visits and serves as a roadblock in the treatment of conditions through unconventional methods. FFS leads to an increase in overall healthcare costs over time since patients and providers are not fiscally accountable. FFS model has come under intense scrutiny for overutilization of services and overburdening the third party payers which involve health insurance companies or government programs (eg: Medicare and Medicaid). Even though policymakers and government agencies are favoring a shift away from fee-for-service towards a value-based care model, it is highly unlikely that the providers will completely move away from FFS model in the future. The overall effect or acceptance of the FFS model has been diluting. In fact, many organizations accepting bundled payments, or capitated payments, still pay physicians on the basis of productivity, or volume, which is the core of FFS. So even though the fee-for-service model is vulnerable to overutilization, and fragmentation, many believe that it will always have its place in modern healthcare.